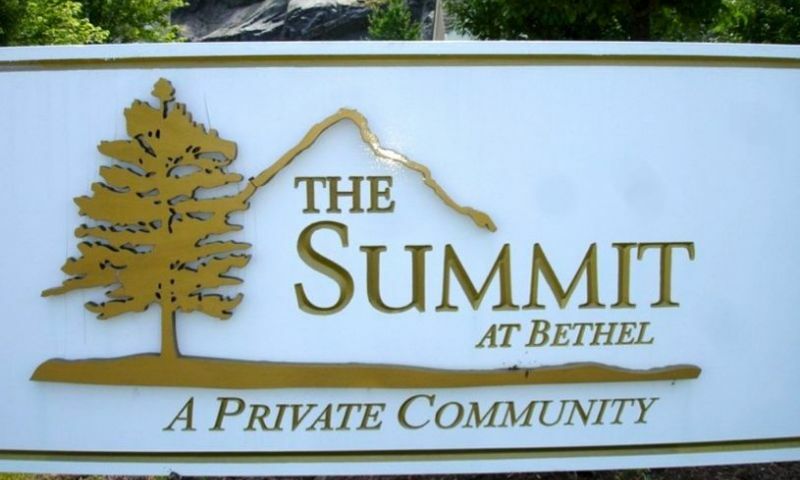 The Summit at Bethel in Fairfield County is a 55+ luxury townhome community offering residents a resort like lifestyle. Perched atop one of Bethel's tallest peaks, the vibrant, beautifully landscaped community provides picturesque views of the surrounding area. This award winning active adult community, which won the 2011 HOBI awards for Connecticut Community of the Year, Best Townhome Community, and Best Luxury Townhome, contains new and resale homes. Upon completion, the community is planned to have 232 distinctive, low-maintenance townhomes. With a 5,600 square-foot clubhouse featuring plenty of amenities, residents of The Summit at Bethel live an active and healthy lifestyle. Ideally located in Bethel, CT also gives residents easy access to the city s downtown attractions. The amenities in this 55+ community are plentiful. The 5,600 square-foot clubhouse, the Summit Club, features a fitness center, yoga studio, locker rooms with saunas, art studio, billiard rooms with a bar, game room, art studio, catering kitchen for cooking lessons and a grand hall for dances, parties and banquets. For active-minded residents who enjoy outdoor activities, there is a swimming pool, sundeck, a tennis and bocce court as well as scenic walking and biking trails. Residents can choose from a variety of luxurious home designs ranging from 1,780 to 2,594 square feet. The majority of the designs feature lavish first-floor master suites. These attached homes have two or three bedrooms, two-and-a-half bathrooms, and an attached two-car garage. Homeowners also have the option of personalizing their home by selecting from a wide array of luxurious features like cherry or maple cabinetry, granite countertops for kitchen and baths, center islands, gas fireplaces, sunny breakfast areas, large master bedroom suites with cathedral ceilings, lavish baths with soaking tubs and dual walk-in closets. Carefree is the key word when it comes to the lifestyle in this active adult neighborhood. Residents are freed up from chores like exterior home maintenance, snow removal, landscaping, trash removal, and clubhouse maintenance, which means their schedules are open to pursue hobbies and interests, such as curling up by the fireplace with a novel, spending an afternoon playing cards in the game room or completing a blood-pumping aerobics workout, all topped off with a night twirling around the dance floor in the ballroom. Just outside of the community residents find a vast array of opportunities for recreation, dining and shopping. Bethel Plaza Shopping Center and Dolan Plaza are just around the corner for convenient quick stops and the Danbury Fair Mall offers leisurely shopping possibilities. There are many fine markets in the area, as well as restaurants. In the downtowns of New Haven, Stamford and White Plains, residents find a wide range of activities to enjoy, such as museums and world-class entertainment, as well as international dining opportunities. For those who enjoy golf, there are many challenging private and semiprivate golf courses in the immediate area, including Richter Park Memorial Golf Course in Danbury, which was rated as one of the Top 25 Public Courses in the United States by Golf Digest Magazine. Enjoying nature is also easily on the agenda for The Summit at Bethel residents. State and local parks such as Rogers Park and Putnam Memorial State Park are within 20 minutes of the community and Candlewood Lake, with boating, sailing and fishing opportunities, is just 15 minutes from The Summit at Bethel. Active adults living in The Summit at Bethel are sure to never find a dull moment in this vibrant 55+ community in Bethel, CT. The Summit Club - 5,600 Sq. Ft. There are plenty of activities available in The Summit at Bethel. Here is a sample of some of the clubs, activities and classes offered here. These attached homes offer 1,780 to 2,594 square feet of living space. They have two or three bedrooms, two-and-a-half bathrooms, and an attached two-car garage. These homes feature cathedral ceilings, large master-suites, elegant kitchens, and spacious floor plans. We'll hit 55 next late next year and have already decided this is where we will be moving! We live in the area already and love it so when this community opened we were thrilled to see how wonderful it is. The clubhouse is fantastic and the homes are just gorgeous. We've watched this community develop since it opened a few years ago and it is coming along beautifully. 55places.com is not affiliated with the developer(s) or homeowners association of The Summit at Bethel. The information you submit is distributed to a 55places.com Partner Agent, who is a licensed real estate agent. The information regarding The Summit at Bethel has not been verified or approved by the developer or homeowners association. Please verify all information prior to purchasing. 55places.com is not responsible for any errors regarding the information displayed on this website.